Warm, cozy and on Lake Tahoe! This is the perfect place to stay for a long weekend or a month! This beautiful condo sits right on the water's edge with panoramic views of Lake Tahoe. At the moment you actually have a beach in front of the condo. The colors of the sand and water are absolutely beautiful. Situated at the end of a cul-de-sac, it's private and out of the traffic. 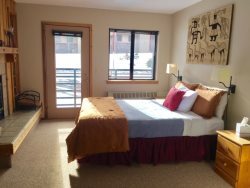 Minutes to Heavenly Ski Resort, casinos, nightlife, golf and restaurants. Get on the Gondola at Heavenly to see the most spectacular views offered in the High Sierra! With 2 bedrooms and 1.5 baths, you will feel right at home with all the amenities you desire. An efficient gas fireplace will warm you up on the over-sized couches in the living area where you can enjoy the views of Lake Tahoe out the large sliding glass doors. A balcony beckons you to spend some time overlooking the deck to adjacent piers. Beautiful wood accents and cork ceilings makes you feel like jumping on a sailing vessel with waves splashing, creating a lifetime of memories with the family. Dining for six and a small but very well equipped galley kitchen will bring you back year after year! In the summer there is access to Conservancy property adjacent to the complex where you can walk along the beach. A pool is also part of the package during the summer. Regardless of the season, the setting is perfect for romantic getaways, active families or to revitalize oneself. The main heat source is the gas fireplace with an efficient space heat upstairs and baseboard heat. I filled out the questionnaire (they are all 5's). It was an awesome property and awesome experience! The only thing we had trouble with was trying to figure out how the cable worked, but it was such a beautiful view that it was a minor detail! *Please note the staircase railings are not suitable for small children. Love, love, love the condo. The view was stunning, the decor unique, the furniture comfortable. We loved it. Couldnt find the dumpster to dump trash (took to my sons) and the parking was strange. Also the kitchen stove smokes (needs cleaning I guess). Still, we had a wonderful time and would stay again. MANAGER RESPONSE: We will check on stove and clean; for garbage we will make instructions clearer as it's located just outside front door. Such a beautiful place. We loved it! Highly recommend this property... Just spent a week there and loved every minute. Excellent location, incredible views, right on the lake and the condo was amazing inside and out!!! Already planning to go back!!! Very satisfied!! The tote bag was an excellent touch! We used it there and we use it here. Thanks!